Pacific boat fuel tank, lasted only 11 yrs. I was addicted to AAB.com and had to go cold turkey! I love this place in cyber-space. But, it wasn't making me $$. So I dove head first into Video production for Youtube. 10 Camera's later and almost 5K in subscribers, And 500 video's later . I do (try my best) to do a Video once a week. Be it charter fishing action, how-to's, just Moments in the life of.... etc. And YES, I have had many a Youtube viewer aboard my Pacific 26 CC, charter boat here in Jacksonville (bazzaro world) Florida. What lead me to "stop on by", is yet, another disaster., concerning my boat. Disasters in the fishing biz seem to come VERY,VERY frequently. Defined as: "costing my business huge amounts of money, boat damage, personal injury, and all out Stress!"" All the "rich Alaskans" here as members, just had me completely stressed even more. I'M IN SUNNY FLORIDA. And life is a continuous struggle (I joke) Let alone being in the cold, snow and where everything costs a small fortune. I wanted to share this video with you all. Hope it's a learning tool. My 26' Pacific will be 11 years old (In my possession) in 15 days. My boat has loads of "self inflected wounds", there is no doubt. Owning a Aluminum Boat is a MONSTER learning curve. I've dealt with about everything that can go wrong, shear of sinking it. I won't go into the details though. BELOW IS THE VIDEO LINK. PLEASE SHARE - SUBSCRIBE IF YOU'D LIKE, HIT THAT NOTIFICATION BELL, SO YOU GET NOTIFIED OF NEW VIDEO UPLOADS. AND THANKS FOR WATCHING. Re: Pacific boat fuel tank, lasted only 11 yrs. thanks for the video update and report on the tank failure. I for one, wouldn't have minded if the tank failed areas' were a little more focused in the video? Meaning if anyone in the forum has a similar install they may want to learn what they could do to avoid such a developement or how they might manage their boat to see if there was some way to avoid this circumstance? I did see the few seconds of pocket knife insertion at the tank bend- but since there are several different potential reasons for this corrosion failure site to form, I'm interested to learn if you had more footage that might be posted just on the tank failure closeups? The metal corroded- not a question- the knife is proof if the huge corrosion sites' blossoms of flakey white chalk wasn't enough to confirm that. But why, and what could others learn from this? First- was the corrosion inside out or outside in? From the video- I got the idea it may have been external sources of corrosion that 'ate inward' ? But can't confirm that from a few seconds of vid footage? OR was there a source of corrosion inside the tank that collected along the bend edges that as the basis of the corrosion sites being at the bends? Cutting the tank apart- will be the only way to really do a decent postmortem of the cause(s). I know you don't need added expense or to take time with a failed tank- but it would make a well followed video to do an entire single subject:tank failure video - in my view- and I'd view it so might others? Next, and not as obvious is; could the alloy of that tank (unknown to me) and the bend radius of the tooling used to make the tanks original folds- have caused a strain hardening of that alloy and heat series metal- to become susceptible to cracking that lead to crevice corrosion lines along the bend? AS you know I've ranted about all these separate items, mill scale removal, vented bilges, ph testing bilge water, tank water bottom sumps and pump outs, strain hardening of alloys in forming, stress cracking and general tank design & installation for so long- here- that I'm just an old broken record now. Thanks again for your post, and I'd expect others with similar skiffs will ask for YOUR further examination of the failed tank? I would if I had the same installation where I might be facing a similar future tank failure. Glad to hear you're alive and kicking- or is that fishing? Glad you weathered the heavy weather and are still getting clients to come chase fin fish. I'll follow up on my post in reply the Capt's tank failure to list an action item that similar skiff owners may want to explore? Video bore scopes are so cheap today https://www.amazon.com/video-borescope/ ... 0borescope that no boat owner can claim they're unable to afford to inspect their bilges, their tanks inside and out or any other void or enclosed volume of their welded aluminum boat. It is possible one of the three major types of corrosion has started somewhere in your boat? It probably won't be at the topsides sheer where you can see it developing- as you'd likely wash it off, rinse and let that site dry and the corrosion would stop. However, where water can fill a void that is thin- and deareate to become acid- or where stray current between wiring and terminations might cause leakage of DC to the hull or structure OR, where different metals closely in contact can remain wetted- you may have a site that is corroding? I suggest that every type, every instance of every type and every flaw in the design's build can be corrected- if the boat is inspected thoroughly- and the video bore scope is the tool that makes this possible- and cost effective. I agree there may be some need to install 'inspection ports' where they are not present? I also agree that there are some builds that may be more prone to problems than others- but I still argue the problems like Capt'n Dave has shown here can be discovered earlier and dealt with - but only if the boat is inspected to learn the details about corrosion that may already be present. So, while I don't own stock in any tool companies who sell these tools and don't get any endorsement funding for my advice- I do suggest these tools will be the first step in a FULL, TOTAL and COMPLETE inspection of your welded aluminum boat- to learn about the presence of any corrosion you've already got developing? Was this tank "foamed in" to the rest of the boat? JONH, no there's no foam...No one does that anymore. or if they do. they should stop asap. KEVIN, no more footage. but 100% that this corner of tank sat wet all the time, for sure. the TINY armstrong compression plastic deck plates leak!! did, I just buy new ones? YEP. why? I'M DEAD AZZ BROKE. this j-o-b + hurricane + no business = broke'dom. I did order a large round cast alloy hatch that was a FREEMAN, ''''''that I always dreamed of'''''''', to be cut into deck and welded in, on paypal credit at $479 but the yokes underneath that make it a water tight hatch (and top o' the line), hit the top of my poly tank. So, I had to send it back for a refund. DREAM OF A REAL INSPECTION HATCH OVER TANK, OBLITERATED! The pocket knife went into that hole so ez. I just dug it out to see how powdery the aluminum tank was. ALL outside corrosion. looking inside tank it was discolored, but clean as a whistle. I said in the video the ''road mountain I hit'', was the reason the tank leaked, and thats a fact. but it would have happened anytime, very soon. I alluded in my above "story here", that the learning curve of these boats is HUGE! I almost pitty anyone like me, who didn't know shet, and pressed the boat into hard service with zero knowledge of aluminum ownership pitfalls!!!!! The inside of my bilge area is a pockmarked mess, from hell and back. Didn't get into all that, in video. The welder I hired is swapping out fishing charters with me, because he knows he'll be back time and time again. Probably. to weld holes in the bottom if this happens again. Not long ago, my dad and I were working on the boat. I was moving a VHF antenna/ coax cable or something, that goes thru a chase behind and around the windshield. When I wiggled the coax cable, that shares wires for console mounted side Nav. lights and also two large LED flood lights, a HUGE POP happened! Smoke came billowing from under the console. The wires melted the VHF coax cable in half and the Nav side light wires were severed and the wires for the LED floods also. I had very intermittent use of the LEDS for a long time. RIGHT THERE, WAS M-O-N-T-H-S and months of stray current eating the boat alive, each time I was out. Let alone never ever having a completely dry bilge. Pacific gives a small threaded in 1/2 inch plug as a Boat Plug. So not all the water ever drains out. I'd need to actually drill and thread a hole in the bottom of the boat, in the very stern to actually drain every drop. The way it's set up. So since the tank in that corner was probably always wet, and touching the hull probably (Tank was sitting on the proper Neoprene rubber) underneath and on the ends. But the corners? Not. SINCE...I have a poly tank now, all new armstrong compression deck inspection hatches, then dried out the bilge after numerous pressure washing and then sprayed with Corrosion X, till it was sloshing around down there, to cover all infected areas, and will continue to do so. Checked boat (for now while on trailer) from both batteries neg terminals to the deck for any stray current and then took off both batteries pos. cable and got matching results, (No stray current) all I have to do now is. Do the same in the water with everything on the boat in the ON position and motor running. Plus, possibly do the silver diode testing also while in the water. To make sure Anodes are really doing their job. If nothing else, this is all for my own education. BECAUSE WHEN I BOUGHT THIS BOAT, IF I KNEW WHAT I KNOW NOW...OH HOW THINGS WOULD HAVE BEEN DIFFERENT! I've been talking via emails with USN retired marine surveyor here in jax fl, that is a metal boat expert. W-O-W, has he clued me in to many ideas, and why certain builders do certain things. Testing the hull, should be part of the maintenance. like changing the 4 stroke oil, etc. is bone item he recommends as part of a routine. He said many builders of military, I guess aluminum boats/ships will coat the interior of the boats (paint etc.) and even install bilge area interior anodes. Just like my Suzuki 250 has 7 interior anodes, and I change them yearly! And the best part is it's EZ to do, versus those Honda motors. Or at least the Hondas I owned. 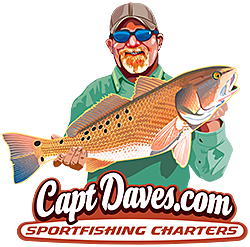 Capt'n Dave, many interesting items in your post. First, it appears there was some alloy shift- strain hardening/crevice cracking of the tank bend- not positive on this but.... if the corrosion started outside and worked in? AND it was localized to the bent outboard corner(s) the only reason to attack there is susceptibility- not solely immersion. If the area was wetted regularly then the bilge must have been free flowing and would have coated more areas of the tank- especially the bottom flat area? So I'll go with some radius bend issues on the corners- as to bedding the tank in neoprene rubber- it does have a large carbon component in neoprene and I'd say it wasn't a good choice for beds/insulation/mounting. I'd want to go more for an ribbed vinyl strip that allowed the supported area(s) to drain and that plastic group is inert to aluminum where the carbon bearing neoprene - in some make ups- does react so there is a galvanic cell created when this inter face is wetted. Regardless if the bilge is sealed or deck drains down into (or even leaks into) the bilge, I'd want a sump with a float switch and pump- the switch in a small sump will be reactive to very little volume of bilge water- a cup or so, and the pump could react to any larger volume like the amount needed to immerse and entire tank side seam. Stray current into the bilge water is also a problem- stray current anywhere is - whether the current drains/flows/drops potential inside the hull or outside the hull, the pitting would be serious for either case. I have seen some bilge pitting a few years back that was from bilge water that had been made into a chemical soup of carbon and acidic water. This was an inboard where the engine belts were chaffing neoprene rubber shavings into the bilge water and that water was left standing for a long time- so it wasn't drained - or tested with ph strips to understand if it was a risk to the hull alloy? It turned out to 4.5 -5 ph so was out of the 6-8 range usually accepted as safe for aluminum. There was a very low current discharge into the bilge but because of the mild acidic bilge water - I think the pitting was accelerated? Can't confirm that- not enough of a chemist - don't have the controlled experimentation to show this was the case- but the pits were very real and widely spread- mostly at the edges of the bilge waterline as the boat sat at rest in a slip. Depending on the tank sending unit/level gauge wiring and installation- I did a partial survey of a 25' recently- well known name builder's boat- with the level indication circuit's DC neg literally running to the tank as a mistaken version of the tank-to-hull bond leg!! So; if you had a tank sender with some stray current on the tank- a wet top flange will short DC to tank wall- and the tank was wetted by the bilge water- AND the tank bottom material's bend radius was too tight and had stress failures in the parent metal??? all that adds up to a perfect storm of aluminum tank demise. Thanks for the heads up, and your remarks, sure will be a good caution for others to inspect their hulls' bilge voids to see if they can spot trouble spots? "Ounce of prevention vs the pound of cure" and all those other wise sayings - seem more apt when we find a hidden corrosion site in a welded aluminum boat. Freeman's cast hatches are really good - and we're asked to pay for that good quality at high prices! But using bore scope and having your welders install small bore 1/2 pipe coupler flush to the deck ( I prefer to TIG the top edge to tank flush?) you could create a reasonable low cost- flush and "maintainable" series of inspection ports that would allow the bore scope lens to fit down into areas that are not accessible by larger hatches? Using plastic or SS, socket recess, pipe plugs and plenty of 'pipe goop'- the threads could be maintained while flush and awash on the deck. This set of - say 1" or 1-1/4" NPT female thread fittings imply the plugs pulled at least once a year, cleaned and re-gooped when the inspection was done. The cost of the fittings is very small- (must be 6061-T6 pipe NOT conduit!!) and the installation not all that expensive -but a headache with MIG only welding equipment- so If this type of bore scope inspection ports were installed- the entire project sounds like it could be done for less than the cost of the single Freeman oval? Learned of a boat, owned by a pilot who knew about the various anti-corrosion oils sold for aircraft frame areas that are almost impossible to access, and it had a welded deck but bilge water. When he got the skiff it had some bilge pitting- they found the damage by borescope/camera. They installed the stern drain plug at the transom bottom seam so it was flush to the bottom, and poured quite a bit of oil in the dried out bilge. (no Florida sun to cook the hull so it was tarped with an oil space heater beneath the keel!) Waiting a day for the oil to soak in, they tilted up the trailer- and let it drain for more than a week, then sealed the boat back up and it has stopped their bilge corrosion pitting from progressing- at last report. So it does sound like there was some problem in your skiff but the anti-corrosion oil looks like the long term solution to arresting the pitting sites' growth? IT's all done and buttoned up. The welder and his son get their 1st fishing trip on Monday. They'll become friends, because they love to fish, but are really busy and can hand pick the work they want to do. Plus a complete mobile welding and fab team around here is hard to find. Ebay has a gallon of Corrosion X deeply discounted via Zoro Tools, a Ebay seller. My gallon will be here Friday. I've already unleashed a large can on the areas in question. The gallon is if I need some at a future date. As far as the Freeman Hatch, they just are so bad azz. Pacific ""these days"" has switched to some kind of welded in aluminum hatch where the Armstrong compression was over the fuel sender unit. "GUESS THE COMPLAINTS WERE OBVIOUS?" - get giant Freeman style hatches (hatches that are water-tight with a water load test) welded in especially over tank, and in front of the outboard on the platform. Spend like the US Government does! - get a poly tank and ask yourself...."do I really need that much fuel? '', IE: 150 gallons in a 26 footer??? - with a smaller tank, you have room to add a ''in deck'', fish/kill box. - have all wiring go thru a plastic conduit, then thru ANY chase. I'll soon be disconnecting many wires at the console. and then running them thru- flex blue plastic conduit, easily obtained at a home store. ALL, my Suzuki wiring is all ready wrapped in a nylon mesh type wire protective cover. - check your boat monthly, test it! YOUTUBE LINK: https://youtu.be/NqzWdOAeHG8 adjust for alloy boats. YOUR BOAT IS THE BONDING SYSTEM! As far as the aluminum tank Kevin, it's a done deal now....it'll be put to use somehow, someday. when i cut it up because I need a piece of scrap aluminum for a project. here's how far I'm taking it (because I'm now broke) to keep people from kicking, and stepping upon said deck plate, the armstrong compression deck plate and having it leak. THAT EVEN A CONVERSATION WITH THEM VIA PHONE, BASICALLY AGREED THEY ARE NOT TO BE KICKED OR WALKED ON REPEATEDLY....''THEY ARE FOR: INSPECTION HOLE COVERS IN A ARMSTRONG BRACKET. THATS ALL!!!! A $20 RUBBER MAT OVER TOP OF IT. Recently I've been involved with new projects and the subject of bending aluminum has become front and center. I'm bumping Capt'n Dave's thread on his tank to suggest that his video may show the tank was bent incorrectly? AND most importantly; the incorrect bending radii of the tank corner seam- coupled with the metal orientation for the tank's material use; contributed or even caused the failure of his tank. Viewing JettyWolf's video from about 15:50 on- and only in VERY short glimpses; I get the distinct impression the tank had strain hardened areas with stress cracks that were bent to a TOO SMALL radius for the alloy, thickness and orientation of the metal? I think this condition lead to the tank failure Dave shows in this video? I ended the last sentence with a question mark because I don't know this to be true, and Dave is too busy to more thoroughly explore the old tank's failures to more exactly show the damage both inside and outside the tank. That means the post below is supposition- ONLY. I do believe, with what I've seen in the video, above, that what I show here was a factor in the tank failure. However, as preface, I am a long way from Dave's garage and "old tank storage area" so this is supposition at this time. First, the video about 15:50 on shows the tank itself. Next, @ 17:12 or so on the video, Capt'n Dave shows the most revealing few seconds of the entire video -IF the vid is used for a forensic tool to attempt to analyze the tank's failure. The bends are shown at the bottom of the tank body as two longitudinal seams of the tank which appears to be longer than 7' ? maybe closer to 8' long? Aluminum sheet materials can be ordered in various widths- but 6' and narrower are generally more common and less effort to handle than 8' or wider material: so that most builders (Pacific Skiffs included I suspect??) would have used a more economical sheet of aluminum - meaning 6' or narrower?? (Again, ?? indicates I'm supposing not stating a known [to me] fact). That means the sheet in JettyWolf's tank shown in his video at 17:10+ was bent the LONG way- or the bent along the lines of the sheets original rolling from and ingot into sheet/plate material. This means; in all likelihood the tank was formed by bending ALONG the grain direction- not across the grain, this may have contributed to the future corrosion that JettyWolf shows in the video?? Next, I'd like to list a few of the many, MANY articles to be considered when reading about this (supposed) type of material failure. https://www.thefabricator.com/article/b ... vy-bending this article introduces the reader to many of the concepts I'm suggesting may have contributed to Dave's tank failure. http://www.atlassteels.com.au/documents ... t_2013.pdf this downloadable file is about 5052 alloy but it does show there are standards for bending even the softer and more malleable alloy- I don't know the tank was made of 5052 or 5086 so this is merely a reference for the informed reader. http://www.bjg-design.com/designbook/shbend.htm Notice the remark that 5052 could be bent to as small as 1T- therefore if Jetty's tank was 5052 (possible??) it could be bent to a single thickness radii of nose bar- but what if it were bent to a steel knife edge nose bar?? We don't know. http://aluminumalloyboats.com/viewtopic.php?t=5136 AND, closer to home; a similar conversation to that which I'm using to bump Capt'n Dave's tank thread. Let's take a minute to see if we can make some RoT (Rules of Thumb) about bend forming marine aluminum? #1 (An) Alloy's chemical composition makes a difference in the bending properties of that particular alloy of aluminum. #2 The heat treatment/aging and hardening by cold forming all make a difference in the minimum bend radii of 5000 series aluminum sheet. #3 The thickness of the aluminum sheet/plate materials makes a difference in the minimum bend radii of 5000 series alum. products. #4 The orientation of the rectangular blank on the original sheet goods ("as-rolled" material) makes a difference in the minimum bend radii. #5 IF the minimum needed radii is not used to bend form 5000 series aluminum: several conditions are induced into the metal. C) Microscopically, the metal's alloy components may be 'realigned' where certain areas of the strained material are not longer "alloyed"
F) Corrosion resistance of 5000 series marine alloys may be compromised by bending using a too-small diameter nose bar in a braking operation. I'm suggesting that for some reason the bends along JettyWolf's tank bottom bends the nose bar/bending die top tool; was too small and that strain hardened the alloy at the thickness in that particular tank beyond its original alloy composition leading to corrosion susceptibility. Further, those sites along the bends in this tank were then allowed to corrode in a moist atmosphere (bilge with questionable ventilation??) both aspects shown by the corrosion cells located in the regions over stressed along the bends- only?? Next post will continue this line of inquiry by using some photos to describe other examples of this event of aluminum failure due to bending operations. I mentioned that Capt'n Dave's tank may have failed along a bent corner because in the video above at approximately 17:00+ Dave shows the deterioration of the bent corner material. He actually pushes his pocket knife blade through the tank's bent corner because the parent metal has become so corroded its not longer aluminum- its just the byproducts of aluminum corrosion. If this is of interest to you? And it may be to many owners? I suggest the articles linked above will help become more familiar with the problem. As I understand the problem is a bending operation that is too sharp- where the metal is not allowed to "flow" around a correctly sized nose bar (upper die in press brake) and instead becomes torn/cracked/overstressed by using a too sharp bar to press the metal into the V block lower die. Here is an example of a piece of 1/8" that has been torn/cracked by a sharp edge nose bar. Closing in on the image above- due to photo/site handling file difficulties I'm posting these all in one post each. Not sure what's happened to the photo handling? But Photobucket sure has become less than helpful!! The site also is acting odd- so will try to post images one at a time? Closing in on the image above - this close up shows the rough surface indicative of the damage that is alleged to have caused JettyWolf's tank failure. The rough surface tells of sub-surface damage to the parent metal- the parent metal in the bend region should look like the two adjacent legs of clean flat metal. Next is another piece I found on a bracket in a rowing river dory- the bracket is bolted to the gunwale and is not part of the builder's original equipment as near as I can tell? this 3/16" or 1/4" bracket was bent so the outside of the bend is rough and ridged like the 1/8" piece above- I don't know the alloy or what bending tooling was used- but the result is clearly not desirable. Next is another piece from the same anchoring chocking and rode handling system on the river rowing dory. Another piece at a different location- but the damage here is more severely cracked with more pronounced ridges. This bracket shows obvious surface cracks: the potential for corrosion comes from these cracks- the molecular alignment and relation of the various alloy components to one another in the overstressed material apparently make this region subject to corrosion even though the adjacent surfaces of the same part/piece/plate are not being attacked by corrosion. This bracket was found in the extra's pile and is included to show the inside and outside of a too tight bend. Inside this bend is a line where the knife edge of a steel type nose bar pushed down on this strip of 1/4" (alloy unknown). the line in the bottom of the bend area was formed by a knife edge die/nose bar pushing the aluminum down into the V bottom die. The outside of the same bracket/strap piece is shown below. IF Capt'n Dave's tank bend looked like this ??? then we can suppose that the region was susceptible to accelerated corrosion in the cracks' valleys shown above? If these regions are also not the same as the original parent alloy?? then another reason for his tank to fail from the increased weakening of the corrosion resistance of the 5000 series combined with internal strain induced cracks. If you see this condition on a boat's parts, yours or anyone- new or used (!) it might be wise to explore what the potential for corrosion and premature failure of the part could be? There are many 11+ year old Pacifics in the world... How many have had this happen to them?